The kinsmen of ex-Delta State governor, James Ibori, who is in a UK prison, have alleged that it was Ibori’s clamour for fiscal federalism to enable the people of the Niger Delta region to control their resources that led to his incarceration in a British jail. The allegation is contained in an 11-point communiqué issued at the end of the Oghara 2016 Summit held in Asaba, the state capital, on Thursday. 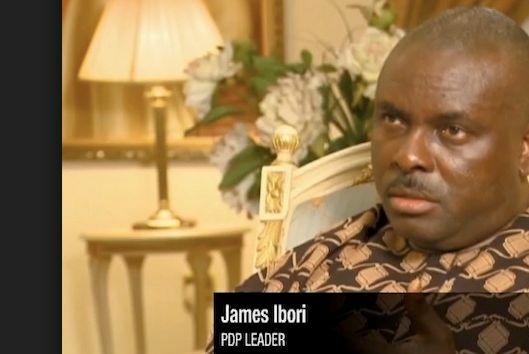 In fact, they praised Ibori for his foresight in developing Delta State. The communiqué was signed by an elder brother to the former governor and the Unugbrogodo of Ogharefe, Chief Williams Ibori; the Unugbrogodo of Oghareki, Chief Williams Usabor; and the Chairman of the summit, Chief Emmanuel Ighomena. In the communiqué, the people of Oghara Kingdom in the Ethiope West Council Area of the state also lauded Ibori, for laying the foundation for the state development.